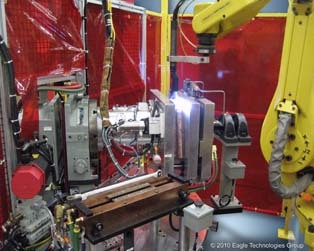 Rexroth helps friction welder put a new spin on welding plastic parts. 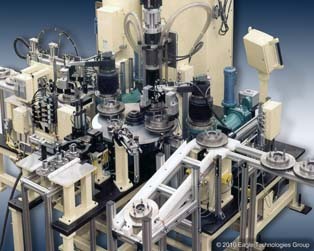 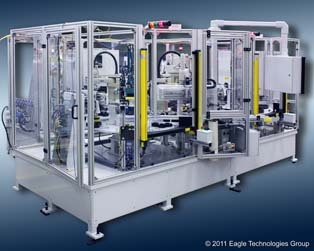 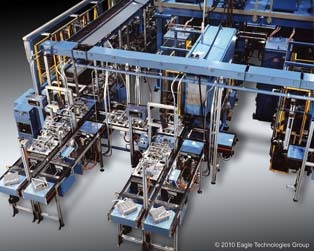 Eagle Technologies used a Rexroth drive and control platform to reduce components while improving output, durability and safety functionality on its power plastics welding machine. 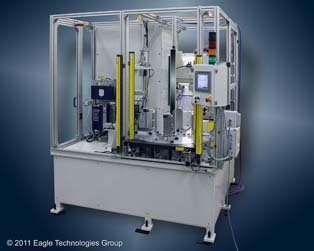 Eagle Technologies’ power welder uses Rexroth drive, control and linear motion technology to give washing machine parts manufacturer greater reliability, reduced waste and less downtime.